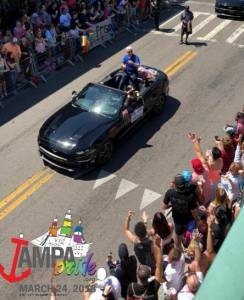 Ybor City entertained thousands of citizens from the Tampa Bay region for their annual LGBTQ pride festival and parade, which many stated was full of color, thrill, and elation. Many of those who attended remembered a time when Hillsborough County banned gay pride parades, but now armed with rainbow flags, friends and supporters paraded from bar to bar while celebrating and reflecting on an inclusive and refreshing festival. Click here to read the full story from the Tampa Bay Times.